1) If it was possible to observe the phenomenon in such a vast geographical area, it means that it was very high in the sky. 2) Something that is shining at the center and blurs all around can’t be taken as a solid object, which if so, should have huge dimensions. 3) The acronym U.F.O. shows once again that it is not the most accurate to describe a phenomenon. Nevertheless, the clear, precise and undoubtful information was available to the journalists in a matter of hours. 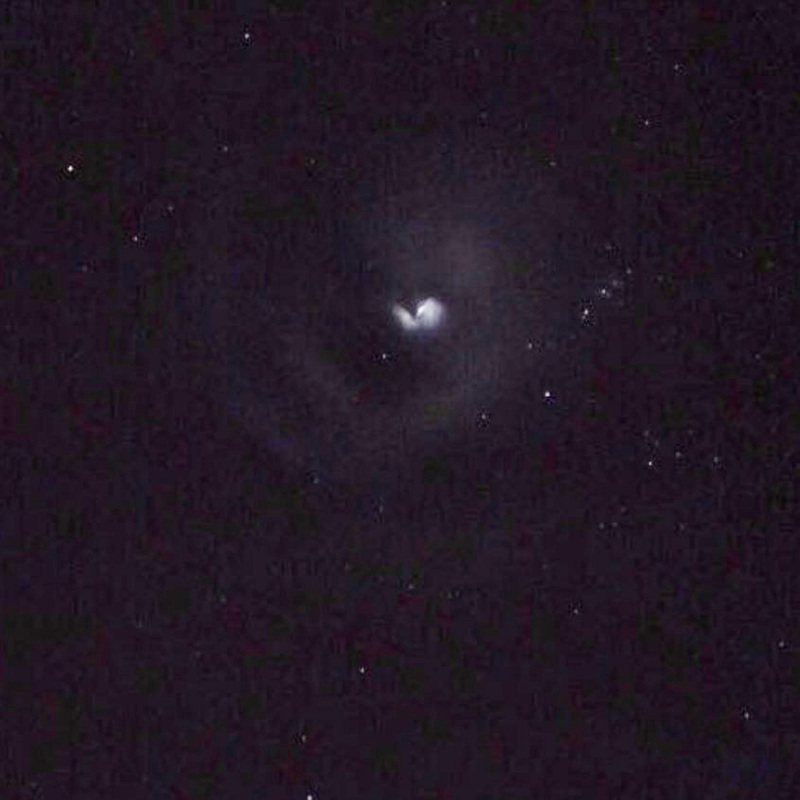 What it was seen was recorded on October 9, at approximately 7:22 PM (Uruguayan local time) 22:22 GMT. 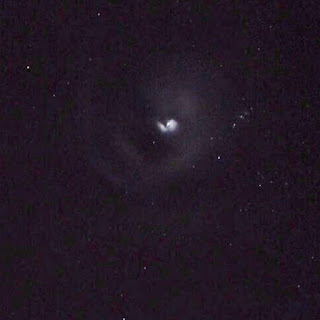 There, amateur astronomer Mr. Cristian Mateu took a set of pictures of the phenomenon and here we reproduce the best of them, as it was published by the newspaper “El Observador” in Montevideo. 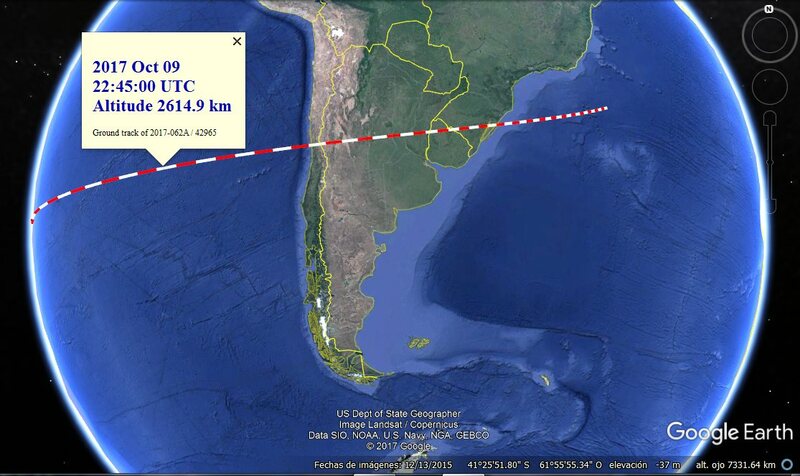 Approximately 25 minutes before the venting of fuel was seen in Argentina and Uruguay, a Japanese rocket H-IIA carrying 4 satellites of the Michibiki series to complete the Japanese GPS system, was launched from Tanegashima in a South-East direction, which sent it directly to South America. The separation of the second stage of the Japanese rocket was responsible for what was observed. We thank Mr. Rafael Cabrera Forli --a UAPSG-GEFAI member; and Commodore (R) Rubén Lianza, Director of the Argentinian Commission for the Study of Aerospace Phenomena (CEFAE) for bringing valuable information that allowed to prepare this report.